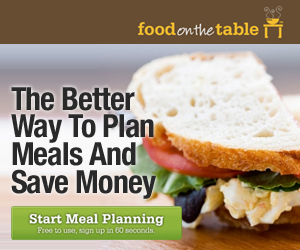 Food on the Table is an easy meal planning service that is based on sales at local grocery stores. With Food on the Table, users will be able to: - find thousands of easy, healthy recipes - save money by knowing the items that are on sale - simplify your shopping experience with a well organized grocery list For more than 3 meals a week and more recipes. SPECIAL OFFER- If you use this promo code- FEBFREE you will get to use the service free for life. This code is available only till the end of February! !